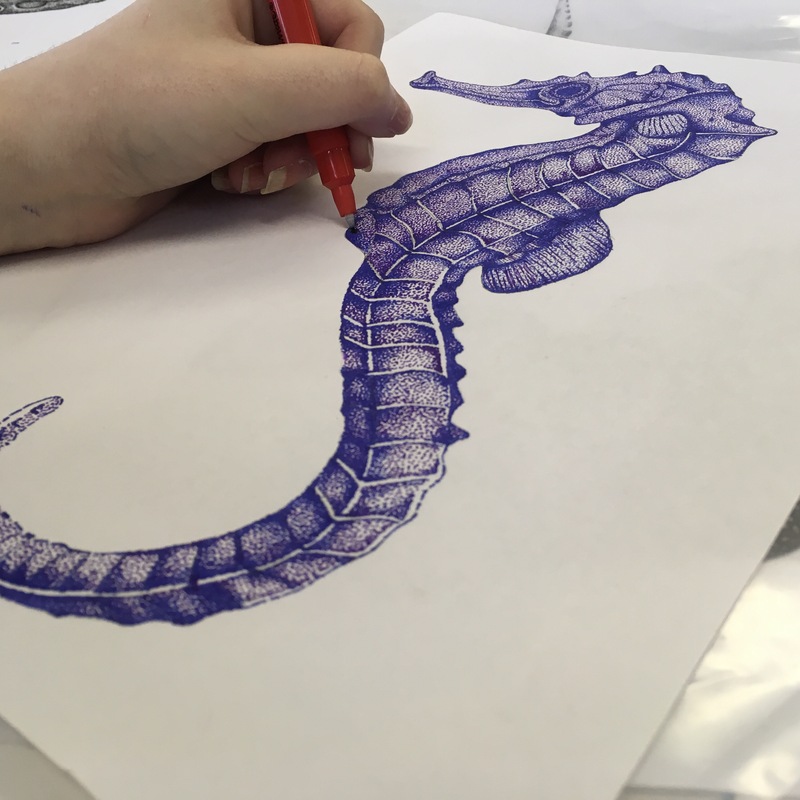 This seahorse drawing by Laticia C (S5) is patiently drawn in a pointillism style. This means that she has drawn it all by using little dots. For this piece, Laticia used a Berol blue fine line pen. She creates different tones by increasing and decreasing the amount of and distance between the dots.